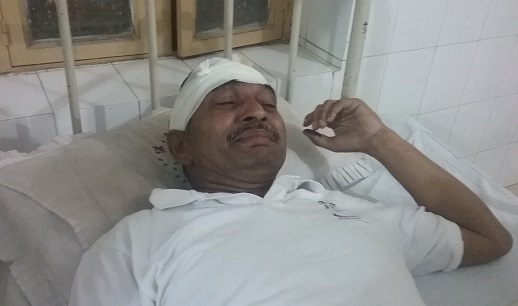 A Pakistani church leader has described how his family were hospitalised by a mob of more than 50 people carrying guns because of an ongoing dispute over a property. The incident took place on 19 October, 70 kilometres from Lahore in the town of Farooqabad, in the Sheikhupura district. Michael Hussain, the leader of a local Seventh-day Adventist church, told World Watch Monitor that a mob stormed into his family’s house in an attempt to forcibly evict them. The property has been the subject of disputed ownership for a number of years. Hussain said the mob fired bullets into the roof and then attacked his family. “My father, my wife and I were seriously injured and hospitalised,” he said. Hussain testified to the local police that when his father tried to stop the assailants from entering the house, they hit him on his head with the butts of their guns. He said the attackers then dragged the rest of the family out of their rooms and beat them. Neighbours informed the police, after which the assailants fled, allegedly threatening dire consequences. The police arrived and took the injured parties to the hospital for medical treatment and legal evaluation of injuries. 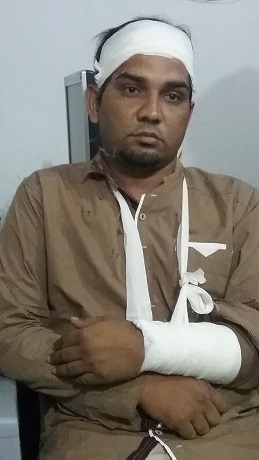 Human-rights activist Khalid Shahzad explained that an attack in which the perpetrators fire bullets into the air is considered an act of terrorism in Pakistan. “The [attackers] were only able to take such a bold step because they have the backing of political and influential people of the area, but thanks to the police for not siding with the attackers and lodging the complaint under the Anti-Terrorism Act,” Shahzad said. Hussain said his family had bought the house from another Christian man, Irfan Masih, in 2003, paying for it in two instalments over two years. However, he said the family then found out the property had been transferred to someone else. Police chief Syed Wajee-ul-Hassan told World Watch Monitor that two of the suspects in the attack – from the other family claiming ownership of the property – have been charged with vandalism. The Anti-Corruption Department had declared that the Hussains’ claim to the property was “not genuine” and had granted an “interim order” to the Gaadis. However, the police chief said that after the Gaadis’ attempts to “forcibly evict” the Christians from the property, a police contingent has been placed outside the house to prevent further attacks until the matter is resolved in court. “The situation for a while turned into a religious conflict, as the parties of Christian and Muslim faith were involved. We told everyone that this land issue could not be allowed to turn into a religious one and that message was understood,” said the police chief. The next hearing in the case will take place on 5 November. Sheikhupura has been the scene of anti-Christian violence before. 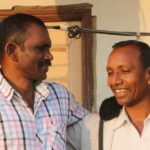 In July 2015, a Christian couple was accused of committing blasphemy in the same district: a mob was ready to lynch them, but the police intervened.